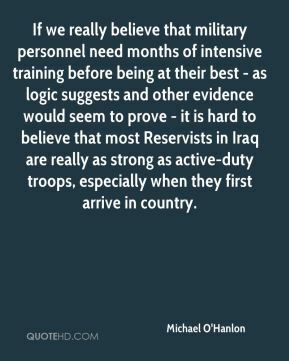 If we really believe that military personnel need months of intensive training before being at their best - as logic suggests and other evidence would seem to prove - it is hard to believe that most Reservists in Iraq are really as strong as active-duty troops, especially when they first arrive in country. 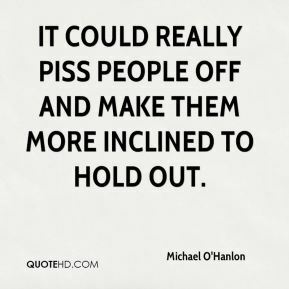 It could really piss people off and make them more inclined to hold out. 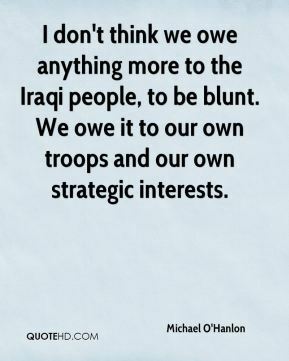 I don't think we owe anything more to the Iraqi people, to be blunt. We owe it to our own troops and our own strategic interests. This particular series confuses me about what it is trying to accomplish. 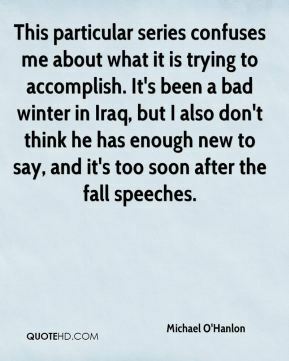 It's been a bad winter in Iraq, but I also don't think he has enough new to say, and it's too soon after the fall speeches. This is one step short of firing upon us themselves with Russian equipment. 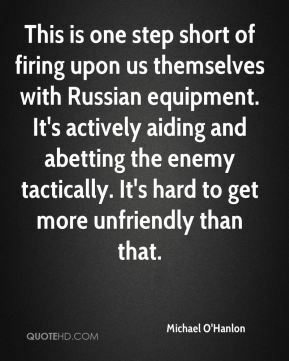 It's actively aiding and abetting the enemy tactically. It's hard to get more unfriendly than that. It's not going well. That's really the simple answer. 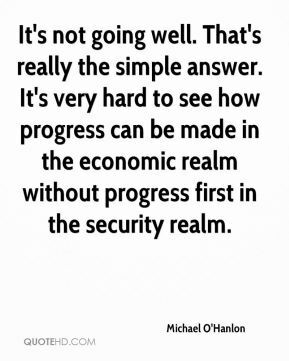 It's very hard to see how progress can be made in the economic realm without progress first in the security realm. 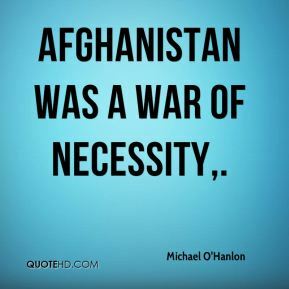 Afghanistan was a war of necessity. But the strategy has hardly succeeded either. 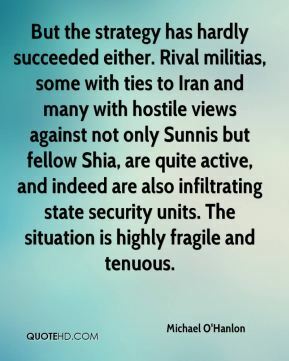 Rival militias, some with ties to Iran and many with hostile views against not only Sunnis but fellow Shia, are quite active, and indeed are also infiltrating state security units. The situation is highly fragile and tenuous. 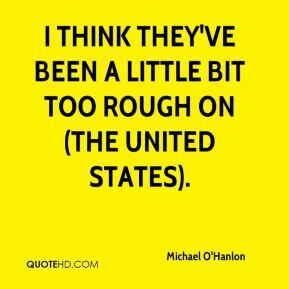 I think they've been a little bit too rough on (the United States). 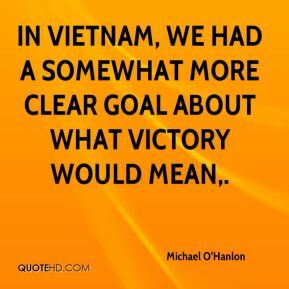 In Vietnam, we had a somewhat more clear goal about what victory would mean. 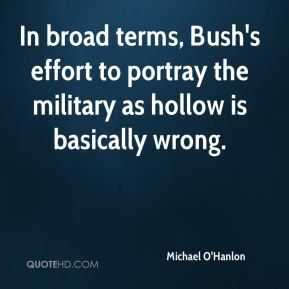 In broad terms, Bush's effort to portray the military as hollow is basically wrong.